Caption slip reads: "Photographer: Emery. Date: 1951-09-22. Reporter: Emery. Assignment: Signal Hill oil fire. 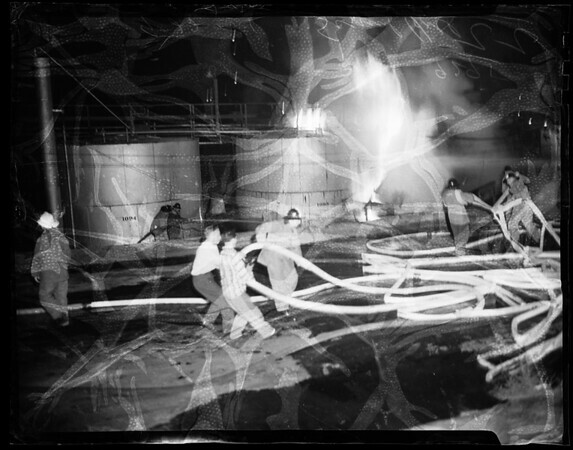 21/22/80/81: Long Beach and Signal Hill firemen battling $10,000 fire 2:30am today at 28th Street and California Ave. in Signal Hill field, where 1000 bbl tank exploded and fired adjacent tank".